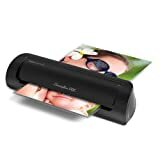 Amazon.com Price: $17.41 (as of 2019-04-25 14:05:27 GMT) Product prices and availability are accurate as of the date/time indicated and are subject to change. Any price and availability information displayed on Amazon.com at the time of purchase will apply to the purchase of this product. 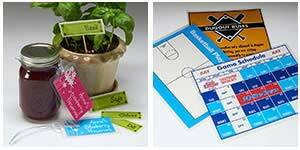 One-step laminating – simplicity and accuracy in a sleek design. The compact Inspire thermal laminating machine offers incredibly easy one-step laminating – all you have to do is plug it in. The Inspire warms up in 7 minutes and is able to laminate any document up to 9″ wide. Working at a laminating speed of 10″ per minute, the Inspire is perfect for scrapbooking, kids projects or any home office project. 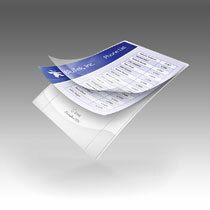 During the warm-up, you can prepare documents for laminating by loading each into a thermal laminating pouch. 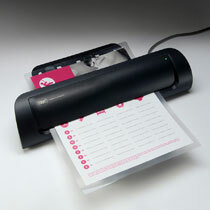 The Inspire can laminate letter or legal size documents in a 3 mil pouch. 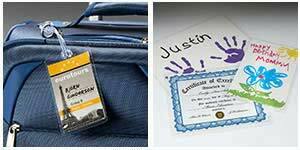 5 mil pouches can also be used to laminate items up to photo size (4″ x 6″). A carrier is not required, making every laminating project super simple. 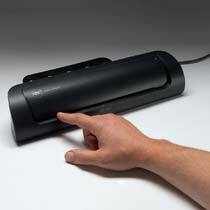 When you need to laminate at home, the Inspire thermal laminator is your best choice. 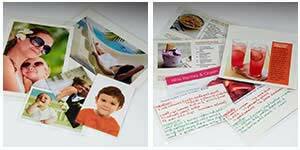 Items laminated with Inspire and Swingline GBC pouches are always crystal clear, free of bubbles and perfectly preserved to last. The high-gloss finish also helps laminated items look great on display. Laminating is easy, fast and fun! 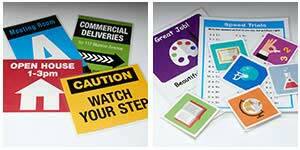 Inspire provides fast and easy one step lamination. With a maximum document width of 9″ and carrier free operation, this thermal laminating machine is great for home projects. To laminate letter or legal size documents, use a 3 mil thermal laminating pouch. For items 4″ x 6″ or smaller you can use either a 3 mil or 5 mil pouch. This sleek design machine warms up in 7 minutes and laminates at a speed of 10 inches per minute. 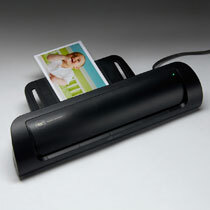 Inspire laminator is black and backed by a limited 90-day warranty.